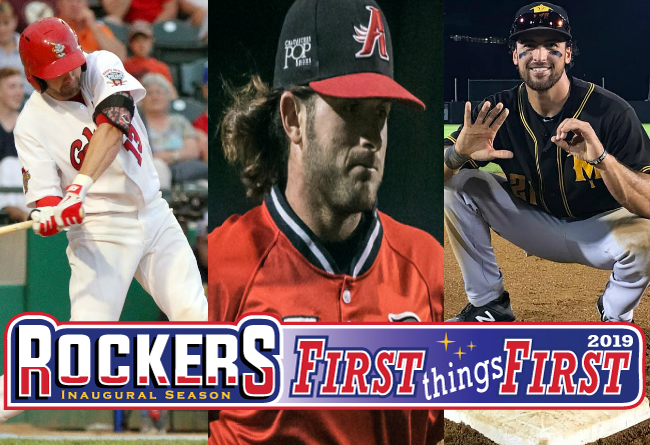 (High Point, N.C., Jan. 22, 2019) – The High Point Rockers are set to begin play in their inaugural season in just 100 days and today announced the addition of three players to their 2019 roster. Breland Almadova, Josh Mazzola, and Nick Sarianides join Matt Sergey on the club’s inaugural roster. Both Almadova and Mazzola were acquired via trade while Sarianides was signed as a free agent. All three players have extensive experience, including winning league championships at one point in their professional careers. In addition to the two bats, Sarianides becomes the second arm to officially join High Point. This will be the 11th season of professional baseball for the righty, who spent his first three years in the Cleveland Indians farm system after being drafted in 2009. In 2016, the 29-year-old split his time in Double-A, first with the Mobile BayBears in the Diamondbacks system before joining the Chicago Cubs organization with the Tennessee Smokies with a combined record of 3-3 and a 3.62 ERA in 30 appearances. Most recently, Sarianides pitched for Keefe with the Rockland Boulders to a 2-1 record and a 2.98 earned run average in 12 total appearances over the 2017 and 2018 seasons. He also has championship experience, winning a Midwest League title in 2010 with the Lake County Captains, giving every Rockers player currently on the roster a championship ring. The Atlantic League has been a leader in professional baseball and a gateway to Major League Baseball since 1998. Over 40 million fans have attended Atlantic League games and more than 900 players and 50 managers and coaches have joined MLB organizations directly from the ALPB. The Atlantic League emphasizes winning baseball games, showcasing the talent of top- caliber players and offering affordable family entertainment.